SSE Music is proud to serve dozens of school districts in western Wisconsin and neighboring Minnesota counties. We work closely with your school's music director to make sure your child gets the instrument that is the best fit for a successful and fun school music experience! We offer monthly rental contracts at competitive rates for most band and orchestra instruments and inexpensive entry-level plans for students just starting out in a school band or orchestra program. What makes our rental plan right for you? Monthly contracts with no long-term obligation: Rent the instrument for as long as you like...return it when you're done, or purchase when you're ready! Instruments can also be exchanged at any time (with the approval of the student's instructor). All maintenance and repairs are included: We take care of all regular maintenance and repair of damage to any rental instrument free of charge! Lost or stolen instruments may be replaced at no cost, if a valid police report is provided. We come to your school: Our store representatives visit every school in our service area once a week during the school year (with occasional visits during Summer months), so if you need anything and can't make it to our store, just call us and we'll arrange for the pick up or delivery of whatever you need! Also, each school has a special coupon code, so ask your student's instructor to have free delivery to the school for online purchases. Earn credit toward purchase: Up to 24 months* of rent payments can be put toward the purchase of your rental instrument or an instrument of equal or greater value. Call us any time to discuss your options! *Depending on instrument and rental plan; ask us for details. *Terms apply; ask us for details. Your low payment of only $40.00 or $60.00 + tax will cover the first FOUR months of your rental contract! 4 for 40 includes flutes, plastic clarinets, trumpets, trombones, percussion, violins, and violas. 4 for 60 includes oboes, wood clarinets, alto and tenor saxophones, French horns, baritones, and cellos. *These programs are ONLY offered to students in the first year of a school band or orchestra program. Later beginners, private students, and adult renters do NOT qualify. 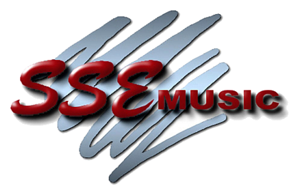 Page Summary: SSE Music store offers band instruments and equipment rentals, including brass instruments, strings and percussion from in La Crosse to Winona MN and Black River Falls. One of the BEST musical instrument stores in Wisconsin, we also rent sound systems and recording equipment to schools in Tomah, Holmen, Sparta, Viroqua and Eau Claire, as well as La Crescent and Caledonia, MN, and surrounding Minnesota (MN) communities.